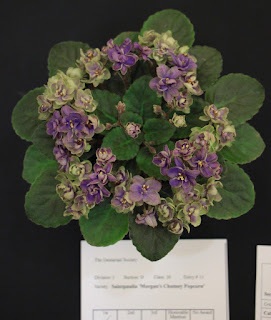 The Vancouver African Violet & Gesneriad Club meets between 2:00 and 4:00 p.m. on the third Sunday (unless otherwise posted) of January, February, March, April, June, September, October and November. Meetings are held in the Cedar Room of VanDusen Botanical Garden, 37th Ave. & Oak St, Vancouver. For more information, email us at vanviolets@gmail.com. 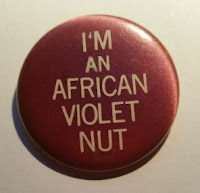 So, you grow houseplants... but, are you and African Violet Nut ? Ever owned a miniature African Violet ? Maybe you've heard about Gesneriads ? Can you say Streptocarpus ? What about: Sinningia, or Kohleria or Episcias ? The next meeting of the Vancouver African Violet & Gesneriad Club will be on June 11, 2017. Usually, our meetings are held on the third Sunday of the month - this one is different! It's our Annual General Meeting! The business portion will begin at 2:00, following a pot-luck lunch for members. Guests are welcome to join us for the business meeting, which will include a DVD presentations of the winning entries and new plant introductions at the African Violet Society of America (AVSA) and Gesneriad Society (GS) conventions last year. Awards will be presented to the winners of our own Show in May. Location is the Cedar Room at VanDusen Botanical Garden, on the corner of Oak Street and 37th Avenue in Vancouver. Mark your calendars for Saturday, May 6. That's the day that we hold our annual show, along with the always much-anticipated plant sale. So many beautiful plants to see and buy, more than just African violets!! There will be many exciting plants, leaves and cuttings available, - the old favourites, new hybrids and some rare, newly-discovered varieties. Location is the Floral Hall at VanDusen Botanical Garden at the corner of 37th Ave. and Oak Street. Doors open at 1:00 p.m. - come early for the best selection. Sales end at 4:00 p.m. Admission is once again free. Here's a link to some of the entries in the 2015 Show - a taste of what you might see in this year's Show on May 7 - ENJOY! It's coming up soon - your once-a-year opportunity to see and purchase African Violets and their many stunning gesneriad "cousins" in varieties that you won't find anywhere else in town! There will be violets with rose-like flowers, double flowers, frilled flowers, and weird "wasp-shaped" flowers, violets with multi-coloured leaves, miniature violets and huge blooming ones! There will be streptocarpus (that's one in the poster above), petrocosmeas, sinningias, kohlerias, and so many more unusual but easy-to-grow plants available to purchase. Come early for the best selection. On the show tables, the best plants that Club members have grown for the competition will knock your socks off! Admission is free; cash sales only! See you on May 7! A new club year begins! The first general meeting of the Vancouver African Violet & Gesneriad Society's 2015-16 club year will be held on Sunday, September 20 in the Cedar Room at VanDusen Botanical Garden. General meetings are hold on the third Sunday of September, October, November, January, February, March, and April; the June meeting is held on the second Sunday of June. Meetings usually begin at 2:00 p.m., except for the November and June meetings which begin at noon. 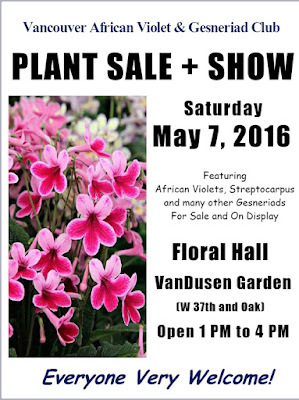 Our Annual Show and Plant Sale is held on the first or second Sunday of May - watch this blog for notices of it and other VAVGS activities. VAVGS is an excellent way to meet others with a similar interest in growing African violets and their many related plants - the gesneriads. Most gesneriads don't look anything like African violets but all have similar growing habits and are easy to keep happy inside our homes. 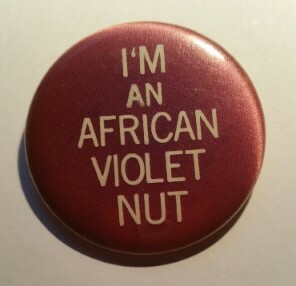 Expect to be surprised at the variety - even African violets don't look like your Grandmother's did!!! See the photo above of an unusual-looking African violet called "Morgan's Chutney Popcorn". Wow - fluffy purple flowers with green edges! This beauty, grown by one of our members, won blue ribbons at our local show in May and also at an international show in San Francisco this summer. General meetings of VAVGS consist of a short business portion, an educational topic related to gesneriad culture, a show/tell/ask session and a raffle of plant material - usually starter plants, leaves, cuttings, rhizomes or tubers, all donated by our club members. Many kinds of gesneriads are available in these raffles and most are ones you won't find in plant stores or nurseries around here! New members may wonder why there aren't more mature plants in the raffle. Anyone who's grown African violets or other gesneriads knows how easy it is to get lots of young plants from leaves and cuttings. While club members will want to keep their big mature plants to enter into the competition at our May show, we always have plenty of young plants from our propagation efforts to share. At first, taking home a leaf, cutting or small plant may not seem as exciting as a huge blooming specimen but young plants are better able to adjust to a new growing environment than a mature one that's been moved out of its happy home. Plus, with the knowledge that you gain from being a club member, you'll soon be able to turn that small plant, leaf, cutting, rhizome or tuber into a large beauty and know that you've done it all yourself!